Agreaux-Ecology - Can you dig IT? WASHINGTON, D.C. Acting on recommendations of top national education experts, the federal government Tuesday issued the “Charting A Course for Success: America’s Strategy for STEM Education,” listing participation of all Americans in STEM ecosystems as a top priority. 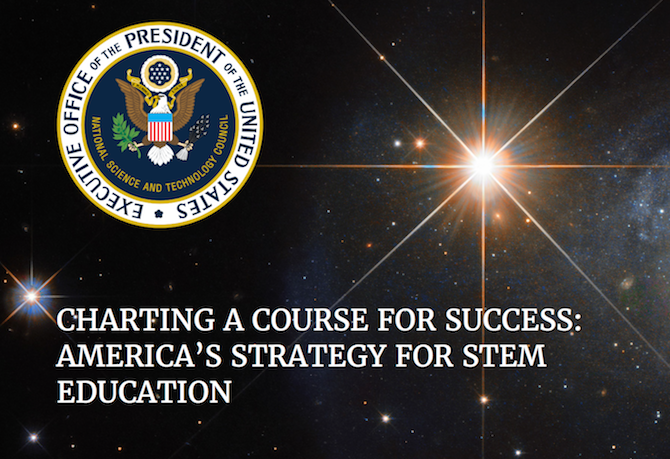 The plan, announced Tuesday at the White House, says STEM ecosystems are pathways for improving STEM literacy, ensuring a strong workforce and global competitiveness for all, and an important means to support diversity, equity, and inclusion in a thriving STEM workforce. STEM ecosystems, like our regional ecosystem - GEN READY, unite stakeholders from a variety of community-based organizations -- including formal and after-school education, higher education, business, government, philanthropy, and the non-profit sector -- to cultivate, innovate and work for common goals and actions surrounding world-class STEM opportunities for all learners. Preparing the STEM Workforce for the Future. The plan identifies methods for achieving the goals with the formation of STEM ecosystems as the leading strategy. “This pathway focuses on strengthening existing relationships and developing new connections between educational institutions, employers, and their communities. That means bringing together schools, colleges and universities, libraries, museums, and other community resources to build STEM ecosystems that broaden and enrich each learner’s educational and career journey,” the report says. Speaking at the Tuesday announcement, Gabriela Gonzalez, deputy director of Intel Corporation, said it will take an ecosystem effort to get this right. This plan follows a decade of work documenting how STEM is best learned in communities (sixty cities) where cross-sector partners are collaborating, learning, and educating together with a national community of practice to facilitate learning, information sharing, and problem solving. For more information about the STEM Learning Ecosystems initiative, which GEN READY is a member of - click here. See our Press Release here.